KATHARINE RHOTEN’S CHARITY, KATHARINE’S WISH, HAS COLLECTED THOUSANDS OF TOYS AND MORE THAN $50,000 TO HELP HOSPITALIZED KIDS NATIONWIDE. Katharine Rhoten’s visit to a Florida theme park as a 9-year-old was a life-changing experience, but not in the way that she could have imagined at the time. Katharine, now 18 and soon to be a graduate of Memorial High School in Eau Claire, fell ill on a family vacation to Disney World in 2008. An ambulance rushed her to a children’s hospital, where she was diagnosed with type 1 diabetes. “In the hospital I was not a fan of the pokes and the shots,” Katharine admits of her four-day stay in an Orlando, Florida, intensive care unit. At the time, what comforted her was receiving stuffed toys after every encounter with a needle. Amid the pain, confusion, and fear that came with hospitalization and a frightening diagnosis, the simple childhood joy of getting a stuffed companion was a welcome respite – and an inspiration. “My parents told me in the hospital that I could live my life in one of two ways: as a victim or as an advocate,” Katharine recalls. She chose the latter path and became determined to ensure that other kids facing medical crises would also benefit from the distraction and companionship offered by furry toys. That’s why Katharine and her parents – Kristin Everett and Doug Rhoten – created Katharine’s Wish, a charity dedicated to getting new toys, stuffed animals, and books into the hands of sick kids nationwide. Over the past nine years, Katharine’s Wish has collected more than 20,000 items, most from donors in the Chippewa Valley. In the past year alone, people donated between 3,000 and 4,000 toys, stuffed animals, and books, many of which were delivered to Mayo Clinic Health System in Eau Claire earlier this spring. As hospital staff members beamed, Katharine and her parents toted dozens of bags and boxes overflowing with stuffed bears, Barbies, Beanie Babies, coloring books, and much more. 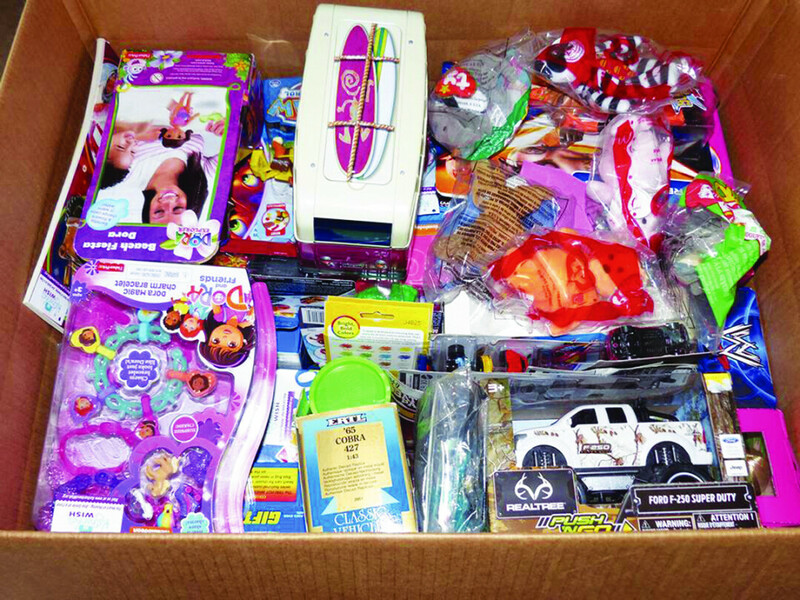 Toys and books donated to Katharine’s Wish have been distributed to more than 30 hospitals and clinics in Wisconsin and Minnesota, including Mayo, Sacred Heart Hospital, and Marshfield Clinic in Eau Claire, as well as Mayo Clinic in Rochester, Minn., and the University of Minnesota Masonic Children’s Hospital in Minneapolis. And Katharine’s Wish does more than distribute toys: It gives out checks, too. In 2012, Katharine became the youngest person in the history of the Eau Claire Community Foundation to create a donor-advised fund. Since its inception, the fund has received more than $50,000 in tax-deductible donations and has given out about $17,000 in grants. The grants have gone to children’s hospitals and other pediatric facilities in all 50 states and the District of Columbia. The funds are meant to purchase new toys, books, or other items to cheer up kids undergoing treatment or their siblings. 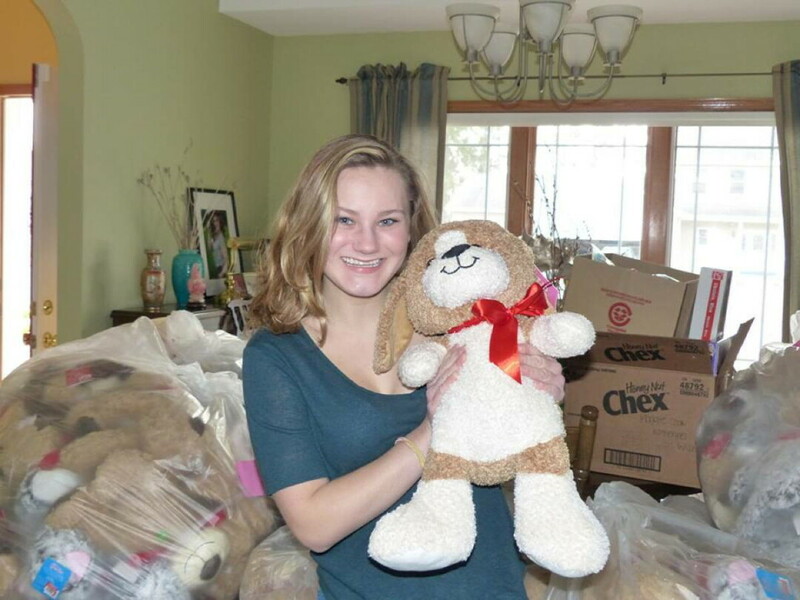 And while Katharine plans to maintain her charity work in college, Katharine’s Wish will still have a home in Eau Claire. Her brother, Spencer – who’s been helping out since he was 5 years old – will be a freshman at Memorial next fall and will continue his sister’s efforts, as will their parents. The basement of the family home is typically full of donated toys. “It’s kind of like a year-round charity,” explains Katharine’s mother, Kristin Everett. While Katharine’s Wish has been a family affair, it’s also benefited from the generosity of hundreds of donors from around the community, Everett emphasizes. “We’ll get checks for thousands and thousands of dollars from people we hardly know,” she marvels. And, because of the wish of a young woman who fought back against diabetes, those checks are converted into smiles for thousands of sick children. “It just fills my heart with joy to see their happiness,” Katharine says. Learn more at KatharinesWish.org or facebook.com/KatharinesWish. Tax-deductible donations can be made online or via check to ECCF/Katharine’s Wish, 306 S. Barstow St. Suite 104, Eau Claire, WI 54701.